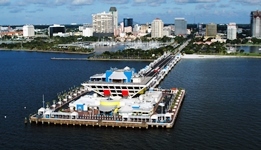 St. Petersburg is located on a peninsula stretching its way into Tampa Bay and the Gulf of Mexico. Named after Russian aristocrat Peter Demens, who brought the railroad to St. Petersburg, his vision created the dynamic and exciting city seen today. But, in 1914, a noteworthy event forever changed the landscape of the quaint mediterranean town known as "St. Pete." Branch Rickey brought his St. Louis Browns to the city for Spring Training – beginning the area's long time love affair with baseball. The tourists from up north began flocking to the area for watching America's "favorite pastime." 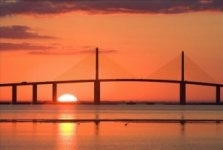 Interested in reading more about real estate in St. Petersburg? 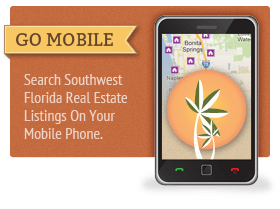 Scroll down to search for all the "active" SW FL MLS listings currently for sale or to get more information on it's history, amenities and attractions. With the heyday of the 1920's, notable architect Perry Snell designed and developed the 275 acre subdivision on Snell Island where many of the most beautiful homes of art deco, moorish, and mediterranean design are still standing today. His designs can be seen along Coffee Pot Bayou, Jungle Prada, and in the famous Vinoy Hotel. The much too short scenic drive along the Bayou to the enchanting balustrade bridge entry to Snell Island is a step back into a different era of history. You can find almost any lifestyle choice you desire in St. Petersburg, the city has something for everyone. Old St. Pete, the city's downtown center, is within walking distance of many major neighborhoods and is undergoing a complete and dramatic revitalization. High-rise condominiums, sleek office buildings, the all new Bay Front Center, shopping, and entertainment are everywhere. The area hosts over 900 annual events in its 125 parks bringing in performing artists, offshore racing, triathlons, yacht racing, baseball, and cycling to the sunshine city. In addition, visitors and residents alike can seek out cultural pursuits in seven museums, including the Salvador Dali, two dozen art galleries and ten marine institutes, all of which help to create a diverse and exciting lifestyle. The St. Petersburg real estate market has something for everyone. A major and highly desirable location for homes is Old Northeast. These homes are meticulously restored to their former 20's, 30's, and 40's glamour and are surrounded by old growth oaks shading each and every boulevard. Allendale is where Tudor and Old Florida mix in a delightful setting of narrow winding streets. And, if you are looking for Bay front, then Maximo Moorings where stately trees and hibiscus of every color surround the two main entry ways where condominiums, villas, and single family homes may be just want you want with the added bonus of Maximo Marina nearby. As you cross the Pinellas Skyway Bridge from the south and to the east is Pinellas Point, where bay-front properties are tucked into wide boulevards with sprawling Florida bungalows. And, if ease of living makes sense, Isla del Sol on the way to St. Pete Beach offers carefree, gated, golf, tennis, and boating in a multi-family condominium community. Then just across a spigot of bay is where all the beach towns begin and include Treasure Island, St. Pete Beach, Madeira, and Tierra Vierde – with easy access to the beaches, Ft. DeSoto State Park, and the Gulf. 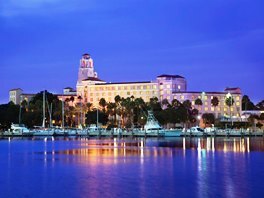 The area's diversity and its big city atmosphere combined with the charm of the downtown core make St. Pete a highly sought after place to live. 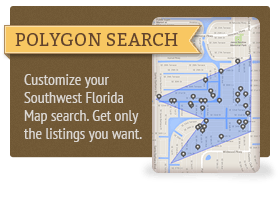 If you would like to schedule a showing or get started on a more in-depth search for St. Petersburg, FL Homes for Sale, please don't hesitate to call us. To ask a specific question now, contact us directly. One of our Realtor® associates will be glad to help!